From Aida To Zweigart--Yarn Tree is the source for cross stitch. 1,000's of products and patterns from your favorite designers. Support your local needlework store! If your favorite store is not on the list, ask if they will special order for you. Your best source for needlework for over 35 years. The best way to buy counted cross stitch, needlework, and stitchery is to shop at your local needlework store. They love stitching as much as you do, and they are there to help you. All the products that you will find here are available to your favorite store from Yarn Tree. It is impossible for a store to stock everything, but if they do not have what you want in stock, most stores will be happy to special order it for you (make a note of our item number for easy ordering). If you do not have a needlework store in your area feel free to contact us directly at 1-800-247-3952 or e-mail us at info@yarntree.com Be sure to check out our list of needlework stores. All prices shown are suggested retail in U.S. dollars; actual prices may vary by location. For wholesale information call 1-800-247-3952.
International Customers. We want your business! All of the items on this web site are available to your store at wholesale prices. Mark your calendar!! The 2019 Nashville Needlework Market will be Friday March 1, 2019 - Sunday March 3, 2019. The annual Nashville Needlework Market is the premier wholesale trade show for counted cross stitch. Q-Snap is part of Yarn Tree! You will be able to obtain all the same great Q-Snap products from Yarn Tree. Our custom manufactured frames offer quilters and needle workers a sturdy but lightweight frame for Quilting, Counted Cross Stitch, Embroidery and much more. The same great product. The same great service. Here is the Q-Snap section of our catalog. Wholesale and distributor pricing is available. Please call 1-800-247-3952 for information. Popular Try our cross stitch calculator. Tells stitched size, and suggests fabric size, needle, and number of strands of floss. Add to your site. If you are not a cross stitcher yet, start here. Counted Cross Stitch is fun and easy. But watch out, cross stitch can be addictive! Learn to cross stitch yourself or teach a friend! Popular Free Beginner Chart & Instructions. Instructions are also available in .pdf format. Here is another Learn To Cross Stitch design. Either design would work great for a class. Mini Lessons. How to do quarter and half stitches. Feel free to use anything on this site on your web page, in your store, or for classes. Online Catalog is a shopping cart style catalog. This has both cross stitch patterns as well as products. Stores may order online! It is fast and easy. Simply create a login and password to start your online account. Suggested retail prices shown; your wholesale discount will be applied when we process your order. Previous payment terms will apply. This is the most up to date information. Use the Online Catalog Cross Stitch Patterns. More information, descriptions, and bigger photos! Updated weekly. 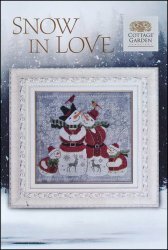 Yarn Tree sells counted cross stitch and other needlework supplies wholesale to stores. Stores may order patterns and products from the Online Catalog. Simply log in and create a password for your online account. For non-book items, you please use the Online Catalog which is updated weekly. Retail Stores. The needlework stores listed in this section either have the products shown below, or can special order it for you from Yarn Tree. Before your next vacation, check out the list to find some great stores to visit on your trip! Popular Free Beginner Chart & Instructions. If you are not a cross stitcher yet, start here. Counted Cross Stitch is fun and easy. But watch out, cross stitch can be addictive! Learn to cross stitch yourself or teach a friend! Instructions are also available in .pdf format. The .pdf format page is great for classes! Feel free to make copies. Free Beginner Chart & Instructions. If you are not a cross stitcher yet, start here. Counted Cross Stitch is fun and easy. But watch out, cross stitch can be addictive! Learn to cross stitch yourself or teach a friend! Instructions are also available in .pdf format. The .pdf format page is great for classes! Feel free to make copies. Stitches To Inches Chart. Use this table to determine the finished size of a design for various fabric counts. Also in .pdf format. How To Wash Cross Stitch. Also a reprint of excellent information from the Smithsonian Museum Conservation Institute on how to remove various types of stains from textiles. Embroidery floss conversion charts. Anchor To DMC Floss Conversion Chart. (also in .pdf format). DMC To Anchor Floss Conversion Chart (aso in .pdf format). Popular FREE Cross Stitch Patterns. Backstitch Alphabet (2 stitches tall), Block Letter Alphabet (9 stitches tall). Other Free Alphabet Charts. Free Graph small Bear & Heart Cross Stitched On Perforated Paper. 117 Alexander Avenue, Ames, Iowa 50010.
email info@yarntree.com Please use the secure form to send credit card information. For wholesale information please call 1-800-247-3952. All prices shown are suggested retail. Ordering. All the items shown here are available to retail stores from Yarn Tree. We encourage you to contact your local needlework store. However, if there is not a needlework store in your area, or if you have any questions or comments, you may contact us directly at 800-247-3952. Stores may open a wholesale account by calling 800-247-3952. Stores outside the USA may contact us by e-mail or fax. Please use the secure form to send credit card information. Contact us.